As a teacher in an alternative classroom in the Aleutian Islands, I work with many students who have experienced trauma, including drug abuse, depression, anxiety, low self-esteem, abuse, and poverty. Driven by a conviction that my greatest responsibility is not helping them pass but helping them better realize their human potential, I teach language arts by focusing on ideas and content aimed at helping them grow emotionally as well as intellectually. I use a Nancy Atwell–inspired writing workshop model, which gives students choice in genre and content and provides flexibility in the length of their pieces and in their deadlines. I’ve found that memoir is a consistently powerful medium for emotional growth and ultimately for healing. By telling their own stories—which engages and deeply involves them in their work—students are able to make meaning out of their pasts, and to reflect upon, come to terms with, and move beyond experiences that haunt them. By way of example, I’ll share the story of one student, a girl I’ll call Jenny, who as a freshman had an alcohol disorder and became suicidal and then dropped out, and who this spring graduated on the honor roll. 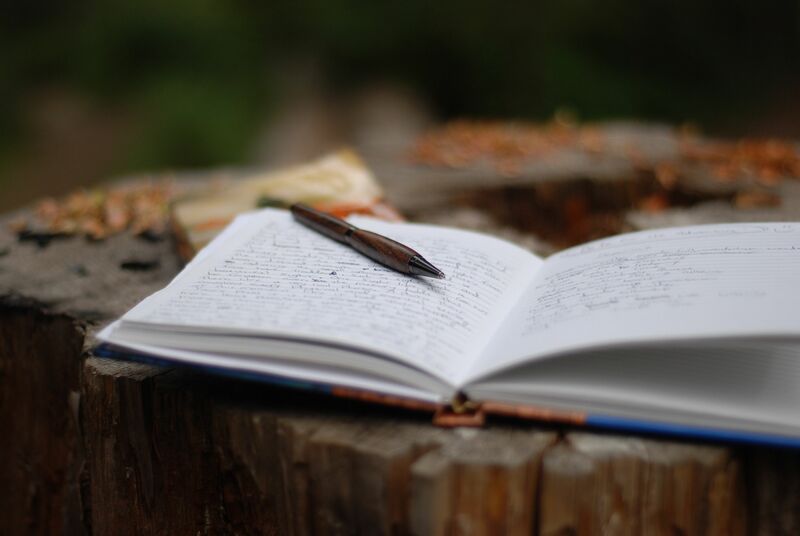 Her remarkable recovery and emotional development were guided by much more than just writing, but writing was important—she has spoken about how memoir and poetry saved her, and she says she now wants to become a writer. I first met Jenny when she was in ninth grade, before she attempted suicide and entered a treatment center. When she returned from the center seven months later, she was nervous and jittery, fragile. I welcomed her back and worked to show her that we were happy to have her back as part of our classroom community. I made sure to talk with Jenny a little every day, as I do with all of my students, in an effort to let her know that I cared and that she could trust me. She gradually became less anxious in class, and started to open up about what she had been through. In a writing workshop, if students aren’t accustomed to having choices they’ll often say they don’t have anything to write about—in truth, they’re overwhelmed by too many options. For a traumatized student, however, it can be hard to think about any option aside from the trauma. Jenny knew exactly what she wanted to write about, but she didn’t think she could write about it in school. Plus, she was afraid of being open about the most private, important experiences in her life. I told her that she could filter as needed, omitting anything she was uncomfortable sharing; that she wouldn’t be judged; and that the most important thing was to speak her truth because her story mattered. What started with a few words on the page, with fits and starts and tears, picked up momentum as she wrote, and turned into a 15-page memoir detailing her journey from being a girl who loved nature and books to being a bullied, defeated, and depressed teen who thought she was too skinny to be beautiful. It was a sad story, but a kind of triumph came in the emotional distance she was able to create between her past and her present. Jenny’s memoir was twice the length it needed to be for a polished piece of work (the assignment was to write five to eight pages), and her in-depth recounting was crucial for both brainstorming and healing. She later culled and refined the memoir, proudly sharing it with friends and family and then sending it to Teen Ink for online publication. Writing this memoir helped Jenny become more confident, and by the end of the piece, she often experimented with metaphor. For example: “You know how when you see a beautiful flower dying, you feel like it’s sort of tragic, the world is losing something beautiful, that’s what depression is like but from the inside out.” Her willingness to universalize her personal experience showed that she was beginning to take ownership of her past. Over the next two years, she wrote less about her experiences and more about her convictions. She became a strong voice for women’s rights and read her poetry at a regional women’s conference. She wrote editorials on environmental conservation. And before she graduated, she gave a talk to fifth graders on bullying, telling her story and offering them advice. She received a dozen thank you letters from students who were inspired by her story because it validated their experiences. Stories like Jenny’s teach the invaluable lesson that our greatest role as educators is to help students become more fully in possession of their human potential. This often begins with honoring who they are and the stories they have to tell.